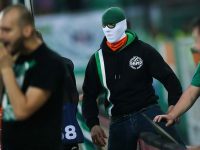 Rapid Vienna hooligans invaded the pitch at the Allianz Stadium following their team’s 1-0 defeat to Austria Vienna on Sunday. 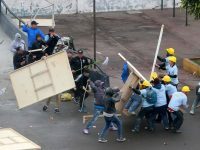 Alianza Lima fans clashed with church members on Monday in a dispute over who owns a plaza in front of the Estadio Alejandro Villanueva. Universitatea Craiova and Dinamo București fans clashed in the stands prior to kick-off in their Liga 1 match on Saturday.